Want to get in a quick, 30-minute cardio workout? Try this one! Perform each set of exercises for 60 seconds continuously. Then, after the Forearm plank hold, rest for 60 seconds. Repeat the workout 4 more times. Reminder to start with a 5-minute warm up and end with a 5-minute cool down. 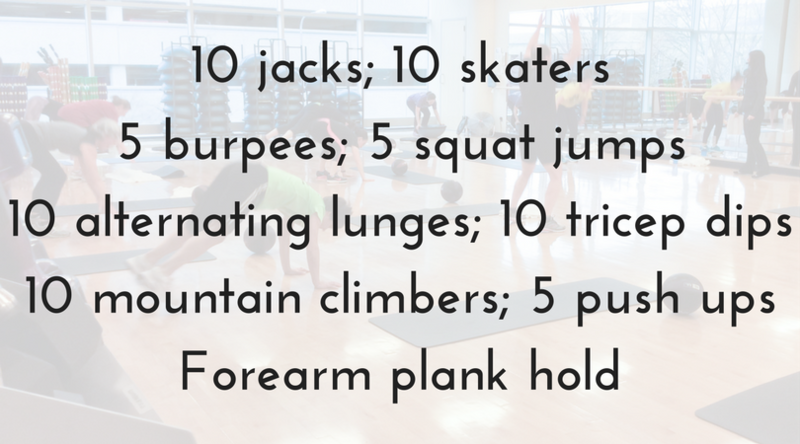 Click here for more workouts.